For a project we’re currently working on, we’re migrating an e-commerce shop from Zen Cart to WooCommerce. One of the many challenges of such a project is mapping functionality that the client is used to in the previous admin system, with functionality in the new system. One such functionality was related to up-sells – suggesting related (higher priced) products to a customer considering a purchase – on each product page. In Zen Cart our client could see which product pages a specific product had been added to as an up-sell. For each product they always list another three suggested products, so if a product gets discontinued, they need to add a new up-sell. In WooCommerce, we couldn’t find such a function, so instead of our client needing to remember which related product pages a specific product had been added to as an up-sell – not really ideal with some 350 products – we built something ourselves instead. The aim was to integrate the function on each admin product page directly, so that the up-sell relationship could quickly be checked. We wrote a code snippet which added our queried results on the Linked Products tab, keeping it all in context. 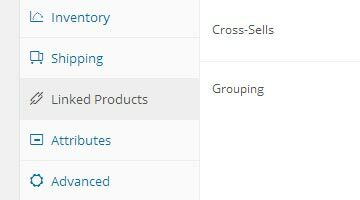 WooCommerce saves the IDs of products that are listed as up-sells for a specific product as meta data. So we query the list of products and get all products that have a meta value ID that corresponds to the currently viewed product. Then it outputs these products, linking each result to its edit page in the admin.